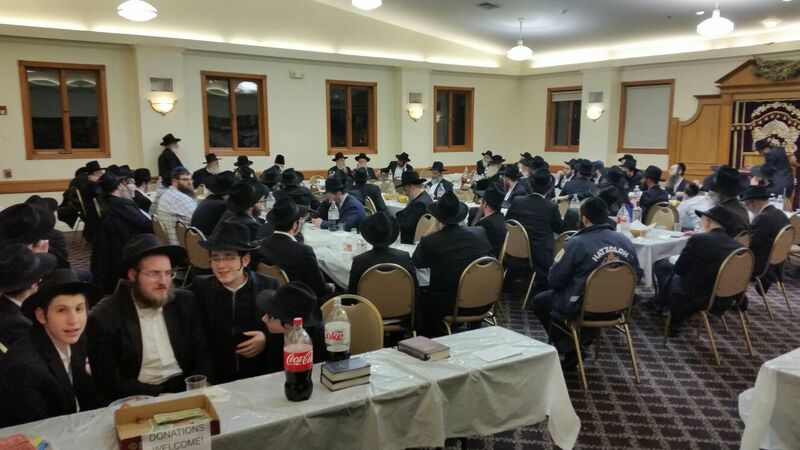 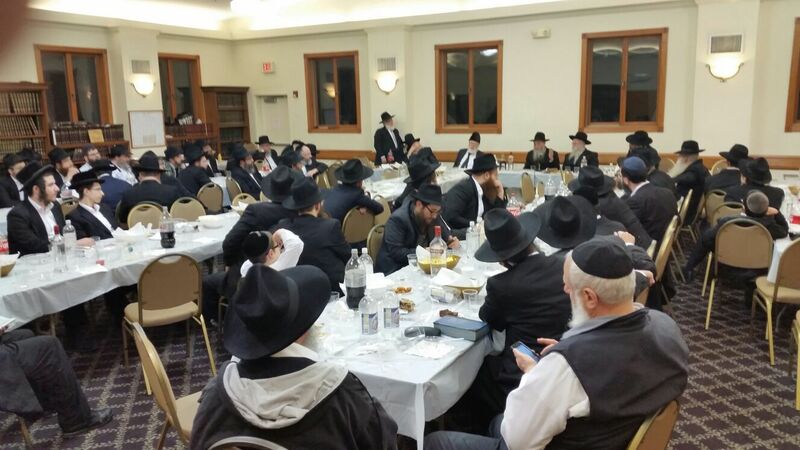 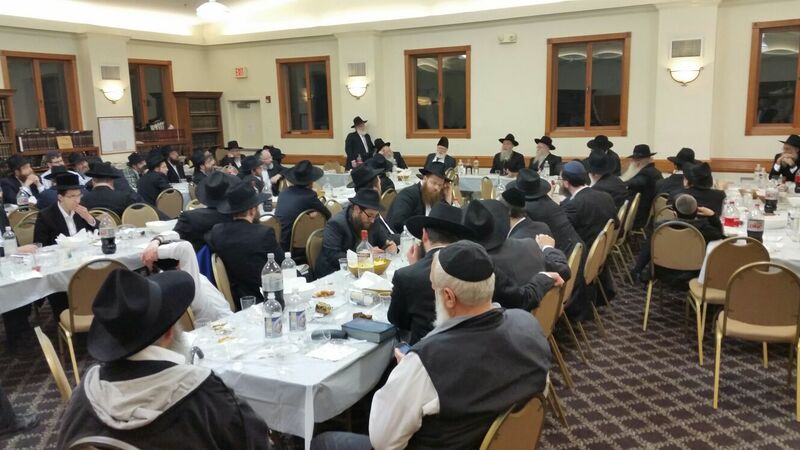 A large crowd of men and women turned out for a beautiful יו"ד שבט seudah and farbrengen with special guest the Mashpia Reb Michoel Seligson. 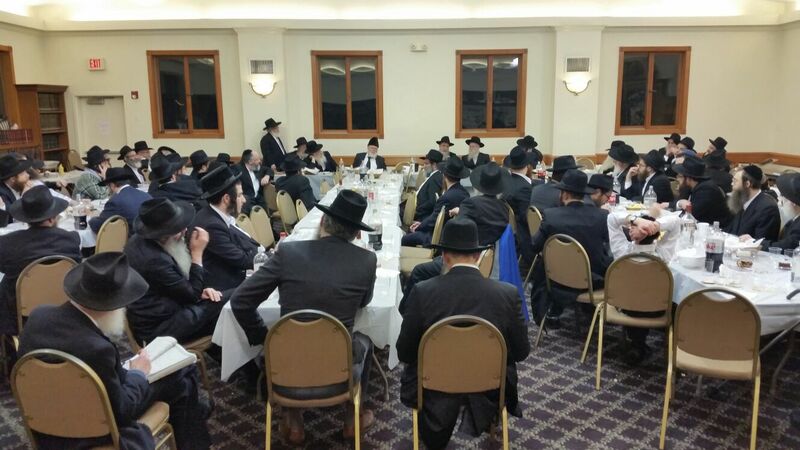 After Maariv Reb Yosef Shandling - as has been doing for many years, chazzered the first two אותיות of the מאמר באתי לגני. After a few opening words from the מרא דאתרא Harav Lesches, Rabbi Seligson captivated the large crowd for hours with both a history of the days leading up to and following the first Yud Shvat, as well as many interesting stories about the Rebbe's devotion to Chassidim and the lessons we can take from them in our everyday lives. The organizers would like to thank the sponsors of the event. 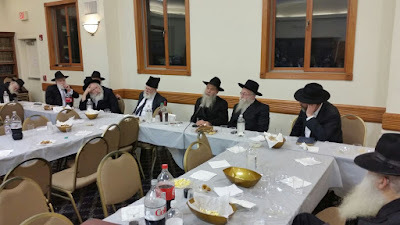 The farbrengen would not have been possible with the tireless devotion and hard work of several people who wish to remain anonymous, as well as the Board of Directors and the גבאים.